Golf figure award in 'Follow Through' pose from Awards Trophies Supplier .co.uk. 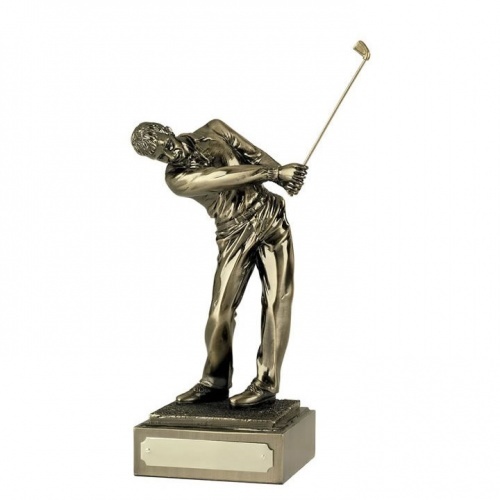 A finely detailed resin figure in antique gold colour finish, featuring a male golfer in a follow-through pose. Available in three sizes - ideal for first, second and third placed prizes - they also feature an integral engraving plaque.